When we hear the word "playtime," we associate it with children, right? It doesn't have to just apply to kids, as it can actually be good for adults too. Face it – as an adult, you have a ton of responsibilities. Take it from me, between your job and taking care of your children, your schedule is usually booked. It can be stressful, sure, but there are ways to get through it, and one of these is to have some playtime! It might sound silly, but adults need playtime too, to ease the stress of the 'real world.' We have always been told that play is beneficial for children, but why can't it be for adults too? As an adult, here are some ways you can incorporate playtime into your schedule. Exercise – This can be either with your significant other, or even with your children, but exercise is important. Physical activity will not only help with your health from a physical standpoint, but mentally as well. Even when you're out with your children at the playground, for example, you can get some exercise in. Who is ready for an inchworm pull-up? Unleash your creativity – When it comes to things like your career, it's important to be creative. By engaging in playtime, you can work to enhance your creativity, and it's worked for me. I've found that even by playing board games, for example, they have helped to work my brain, make me think, force me to improvise at some points, and overall have increased my level of creativity. Play enhances relationships – In any relationship, it's important to keep things exciting for your significant other. Playtime is great in this sense, because along with it comes laughter, natural storytelling, creativity, communication, and fun. The best part about this is that the possibilities are endless. If you feel that your relationship could use something new and exciting to it, consider some ideas where you can find time to play – even reliving your childhood in some ways can be a fun date idea. Consider it! Just have fun – In the end, and most importantly, it's all about having fun. If anything, a game, whether it's a physical game outside or a more mind-challenging game inside the office walls, playtime could be a great team building activity wherever you work. I've suggested it at my job in the past, and while some may have been a little reluctant at first, it ended up going over very well. 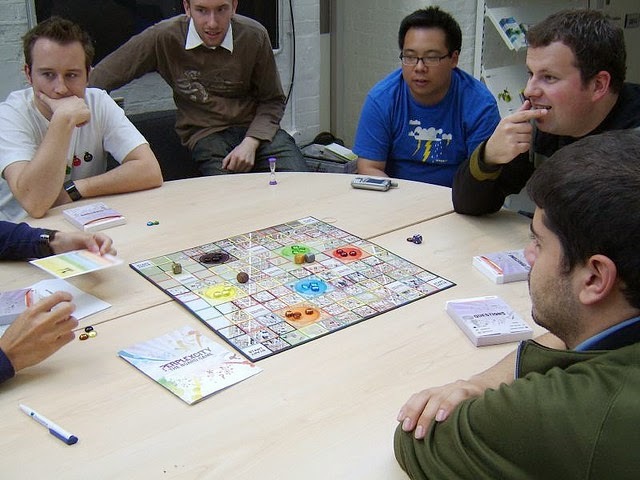 Now we have a designated day each month where we have a 'game night' at the office, at the conclusion of the work day. It's great! The problem is that many adults feel as though they're too old to play, and this isn't the case. Playtime – even for adults – is important because it allows us to escape any stress that we may have in the "real world." As an adult, how do you incorporate playtime into your life?